The Industrial Internet of Things (IIoT) is an evolution of existing technologies that enables end users to improve processes, drive productivity, and maintain an edge over competition in this global economy. IIoT holds huge potential in changing the way business is done by making information available in an efficient way to deliver social, environmental and economical benefits. Sensital, headquartered in Sydney, Australia, with operations in the US, Canada and India, was formed in 2017 with the vision to make every one of its customers a truly connected enterprise. In line with its vision, Sensital introduced its end-to-end IoT Platform that facilitates the convergence of IT & OT through effective orchestration of your operational data for intelligent decision-making. Sensital takes a unique process-centric approach to efficiently deliver the promise of IoT for transformative business benefits. Seemant Ahuja, Managing Director of Sensital, highlights that most IoT initiatives, built on data centric technologies and analytical hubs, are inherently designed to provide just monitoring and alerting capabilities. “Seamless convergence of IT & OT cannot happen by just collecting & analyzing operational data. 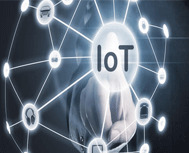 Bi-directional information exchange between the information & operational technologies within the context of any business process is imperative to reach the true potential of IoT”, further elaborates Seemant. Built with the aim to tackle the biggest hurdle of IoT adoption – time to market and unclear ROI – Sensital’s no-code, highly configurable platform supports several industrial standards both on the IT (HTTP/S, MQTT, Web Sockets, etc.) and OT (Modbus, G3-PLC, SigFox, etc.) sides and allows you to easily model information flow, transform and contextualize data and quickly validate the benefits of your IoT program as well as help bring down the technological barriers blocking information flow between your IT & OT. "Sensital takes a unique process-centric approach to efficiently deliver the promise of IoT for transformative business benefits"
In addition to the basic features of device management, data aggregation and orchestration, Sensital’s platform also includes powerful out-of-the box integration with enterprise systems and its unique real-time interaction modeling capability. This capability allows for the modeling of coordination between multiple devices and enterprise digital systems, along with contextualization of any information flow between multiple points of communication. With support for a variety of data formats, communications over a range of industry standard protocols and hooks to incorporate AI, Blockchain and such technologies, Sensital’s platform easily fits into an existing ecosystem. It’s superior security framework is capable of enforcing security & access controls through all the layers of the IoT ecosystem right from devices to the enterprise systems. With a revolutionary product, domain expertise, and implementation services, Sensital is helping its customers to drive their Digital & IoT programs from start to success. The company has built solutions like remote patient monitoring for the healthcare industry, defect management& realtime accuracy of inventory for smart manufacturing, and fault detection & incident management for power distribution companies. Sensital continues to build its expertise in other business domains while also functionally enriching its product to support the rapidly evolving business use of the IoT technology.